* a pair of sharp-eyed CR readers wrote in noting an Amazon.com listing for a big book featuring Mort Drucker's MAD work. I don't see any reason why we can't start appreciating Drucker's work right now. I wonder sometimes if it would be totally terrifying to write for Drucker or if you'd be fully confident that your work would get over no matter what you did because the drawings would be so apt and perfect. The way he draws James Caan's eyebrow in the above image is worth some folks' entire careers. 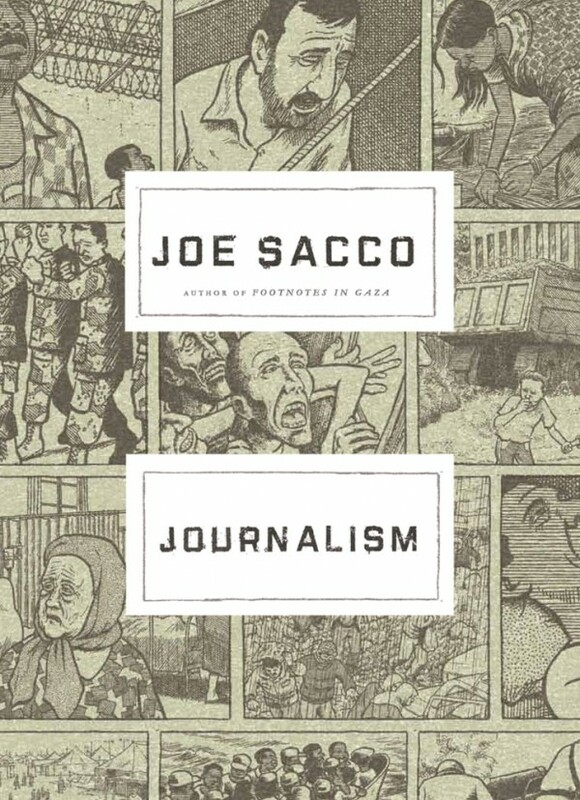 * whoa, stealth Joe Sacco book! It's likely an indictment of this column, but I wasn't aware of that one until blindly stumbling across it searching for another book. That's great news, right? * here's more great news: what Chris Ware's next big book will look like. * I just received a package of comics from Hic and Hoc, which I'm guessing means that their publication will be news to some of you nice folk out there. * the cartoonist Faith Erin Hicks provides an update on her comic The Adventures Of Superhero Girl. * aren't we about due for a period of massive re-appreciation for World War III Illustrated? There's apparently a new issue out this summer, all about censorship. World War 3 isn't being censored, but I'm not sure I ever process it the way I would a most magazines with its pedigree and persistence, and I'm not certain why. * Chris Arrant talks about John Allison's cookbook-within-his-webcomic. * here's a plea for more Wonder Woman comics that little girls can read. Why anyone has to ask for this instead of this being an automatic publishing priority for DC is beyond me, and I generally hate-hate-hate second-guessing corporations that make billions of dollars. * speaking of which, here's a preview of a rare attempt at a female character in mainstream comics having her own title. * DC is going to sell the living crap out of these slipcased Sandman editions. You discount that down a bit to reflect on-line bookseller prices, and you realize that for a lot of those comics fans it's not just that Sandman still holds a place in their hearts it's also that noting else has come close to satisfying that same reading urge... yeah, I wish I could buy stock in product offerings like that. * here's a preview of Ed Piskor's Wizzywig. I like that Ed Piskor guy. He reminds me of the really underground-reminiscent cartoonists of the early 1990s. * I will add my voice to the chorus of those that enjoyed this cover. The idea of alternate covers is a tricky one for comics. On the one hand, using them to boost series by cajoling stores into ordering them for collector/completists is a weird direction in which to shove the market's cash reserves, even if you directly benefit. On the other hand, I like the idea of tweaking a title in a way that a slightly different audience might be pushed into picking something up. I know I'd be more likely to pick up this book with that cover. * here's a significant preview for Black Images In The Comics. * Love And Capes is set to return. I don't know if I've ever seen it, but the series is a favorite with a lot of longtime comics readers. * I'm getting press for the imminent Magdy El Shafee book, Metro. I believe the cover image has been out for a while, but this is the first time I can recall seeing it. I guess some people might end up complaining that El Shafee's personal story is more compelling than the comic, but I would imagine very few stories are as interesting as that of El Shafee after the year Egypt had. 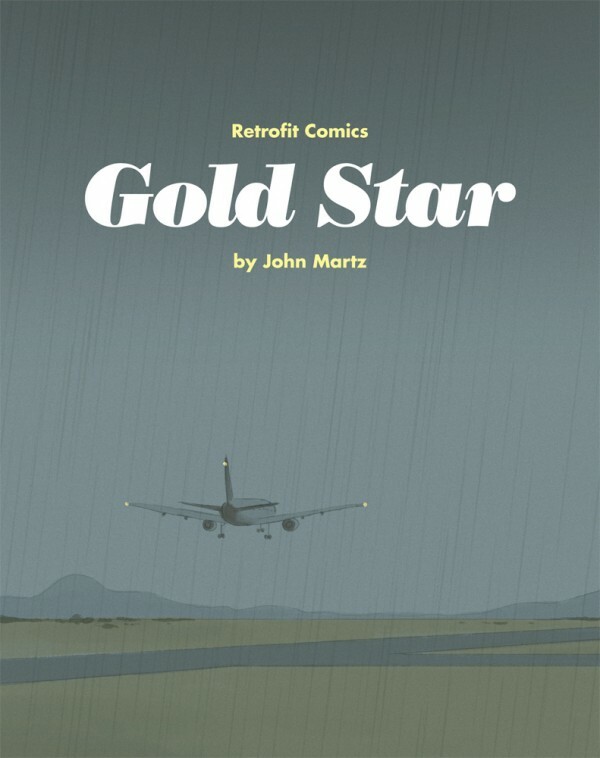 * finally, this John Martz cover for a forthcoming Retrofit book seems to me the best cover for that series I've seen.